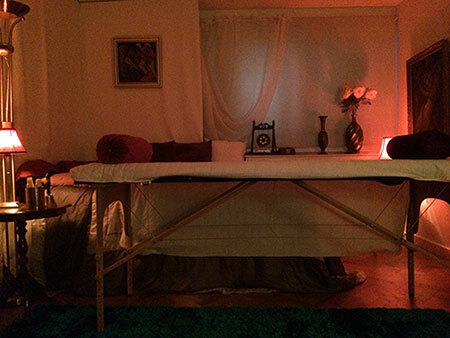 I see clients in my Tantric studio in London in St John’s Wood area, just north of Baker St, North London. It is a very nice area of London and you are 1 minute walk from the tube. My studio is discreet to ensure your confidentiality, it is not displayed and you are absolutely anonymous coming in. 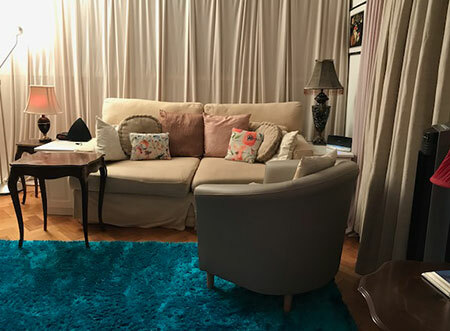 My studio is especially set up to give a professional and pleasant environment for Tantric massages, talks and private workshops. It is especially set up for the best experience in terms of lighting, temperature, noise control, comfort, facilities, which is why I only work from my studio. You will also be in a cosy and pleasant atmosphere where you can relax and feel at peace for your session. You don’t need to decide on your own if an appointment with me will be right for you, or will help you.